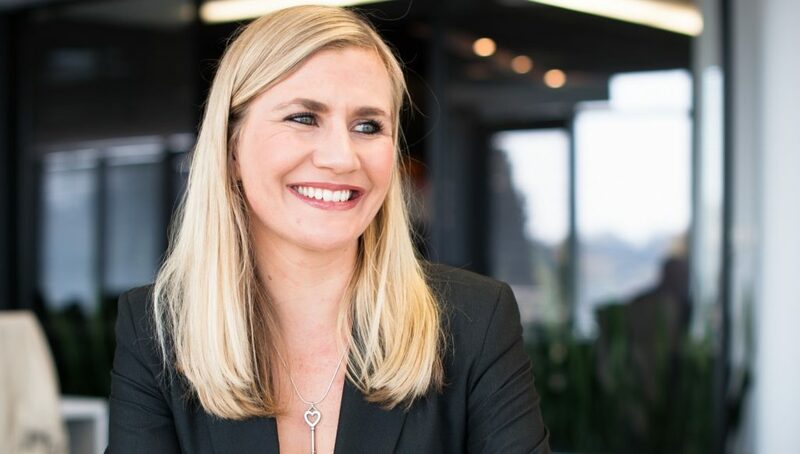 Joburg based fintech accelerator AlphaCode aims to create a pipeline of fintech firms in which Rand Merchant Bank — which runs the programme — can invest in and grow, says the programme’s head Dominique Collett. Since it was established in 2015 AlphaCode has assisted 15 black-owned businesses through its AlphaCode Incubate programme with support as well as R13-million in funding. On Monday (30 July) AlphaCode launched a new call for applications for the programme. Collett (pictured above) tells Ventureburn more about how AlphaCode came about, how businesses can apply to the Incubate programme and what the main challenges are that face fintechs that join the programme are. When was AlphaCode Incubate set up and how did the initiative come about? AlphaCode was launched in September 2015. The aim was to identify, partner and grow the next generation of financial services entrepreneurs in South Africa. AlphaCode’s parent company, Rand Merchant Investment (RMI) Holdings, has had a long history of seeding and backing entrepreneurs in the financial services industry — for example Adrian Gore and Barry Swartzberg from Discovery and Willem Roos and Howard Aron from Outsurance. The board (of RMI) felt it was important to identify the new generation of entrepreneurs so that the group could continue its legacy of innovation and partnering with outstanding entrepreneurs. AlphaCode was launched as a club or community for next generation financial services where these entrepreneurs could engage with each other, financial services subject matter experts, and funders. Does it fall under the Financial Sector Code? In what way do those companies backing it, get BEE points? AlphaCode itself is a division of RMI and is not an enterprise and supplier development (ESD) registered vehicle. The business (however) leverages RMI’s ESD spend to roll out some of its entrepreneurial support programmes like AlphaCode Accelerate and AlphaCode Incubate. How many applications did you have in the last round and how many firms participated? How many were black-owned? We received over 30 applications last year and we short listed 10 businesses to attend the pitch evening. All of these businesses were black-owned and were given the opportunity to pitch their business to a formidable panel of judges with deep experience in the financial services industry on the evening. Four of the 10 businesses received R1-million each in grant funding. What are the names of the 15 black-owned businesses that tapped R13 million in funding via the initiative? How many of these have women founders? How many of these 15 businesses are now selling products to the market? What are some of the biggest challenges that fintech’s that go on the programme face and how does the programme address these? Probably the biggest one is understanding and navigating the legal and regulatory framework in South Africa. We are very fortunate in SA to have a well-developed financial services regulatory environment but it can be daunting for many of the start-ups. The programme solves this by partnering with legal and regulatory experts and helping businesses understand what licenses they may need, applying for those licenses and staying abreast of an ever-changing regulatory environment. Another common challenge is the business development and commercialisation dilemma. What is very common is that the business has a great idea or product but is unclear of how to monetise it or how to best distribute their product. Often, these businesses require large bank or insurer partnerships to scale and navigating these partnerships is notoriously tricky. We are hoping to help these businesses on this challenge by actively facilitating conversations between them and the broader RMI and RMH portfolio ie Outsurance, Discovery, FirstRand and MMI and we will be working with “super coaches” who can help the businesses correctly frame their value proposition and make those sales! What does it take to get onto the programme? Entrepreneurs with innovative financial services business models ie payments, insurance, savings and investments, advisory, data analytics, blockchain. Do you have any pointers for founders? Gauteng appears to be emerging as a serious tech centre — in what way is fintech and insurtech as well as AlphaCode driving the growth in the startup scene there? There’s no doubt that Cape Town has a vibrant tech scene. This is driven by a well-developed ecosystem and the fact that some major international players like Amazon Web Services (AWS) have set up large operations there which attracts global talent. What Joburg has going for it is that there is a strong “hustle” mindset in this town and entrepreneurs are hungry and will find a way to make it happen. Joburg also benefits from the fact that a lot of the deep financial services experience sits here given that it is still the head office location for many of the country’s largest financial services institutions. We enjoy working across both cities and both have their charm and pros and cons. We are trying to drive the growth of the startup community by launching programmes like AlphaCode Incubate which encourages more people to enter the entrepreneurship space. We also have programmes like AlphaCode Accelerate which helps businesses scale once they are through their initial phase. Ultimately we are hoping to create a pipeline of next generation financial services businesses which we can invest in and grow.